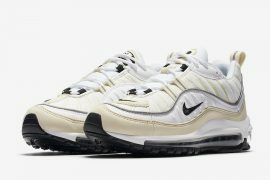 If you’re a 90s baby you remember seeing “FUBU” flashed in all the music videos, TV commercials, and you probably rocked some of the streetwear yourself. You can’t think of ’90s streetwear culture without FUBU. “For Us, By Us,” was the motto. 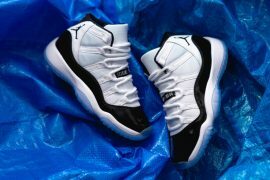 The definitive hip-hop brand famously found in Hollis, Queens Basement by friends Daymond John, Keith Perrin, J. Alexander Martin, and Carl Brown quickly became a staple of city-center fashion. 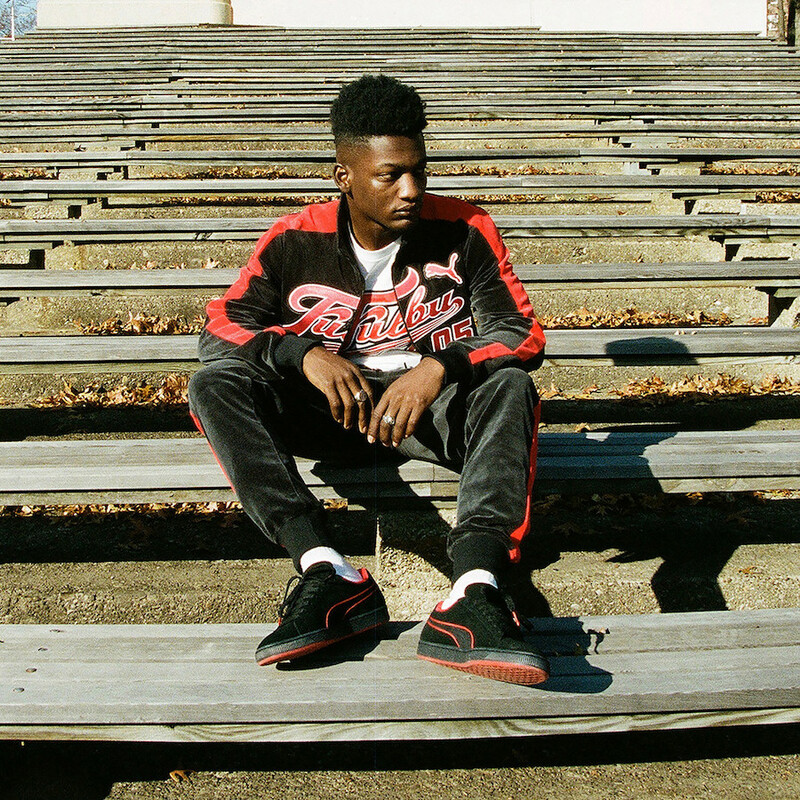 FUBU and PUMA have teamed up to bring this ’90s streetwear back to life. 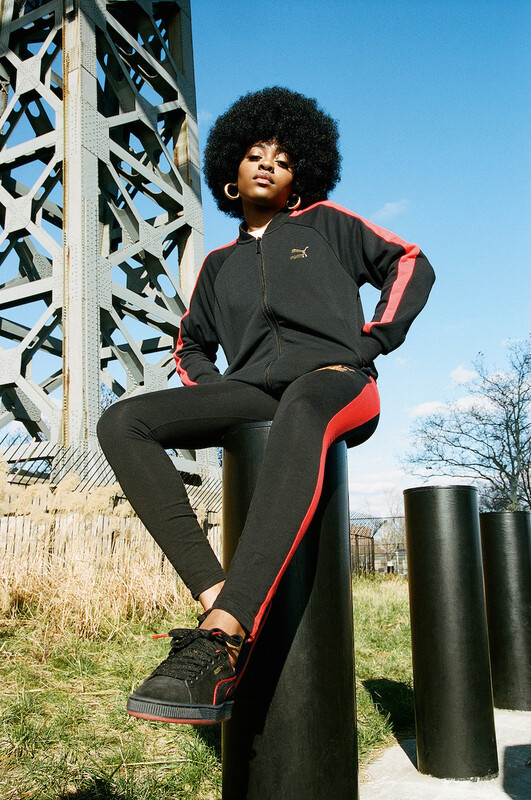 The new capsule collection will celebrate the 50th anniversary of the PUMA Classic Suede silhouette with a new suede design and a collection of apparel, all inspired by those iconic velour FUBU track suits that graced every street corner in the ’90s. 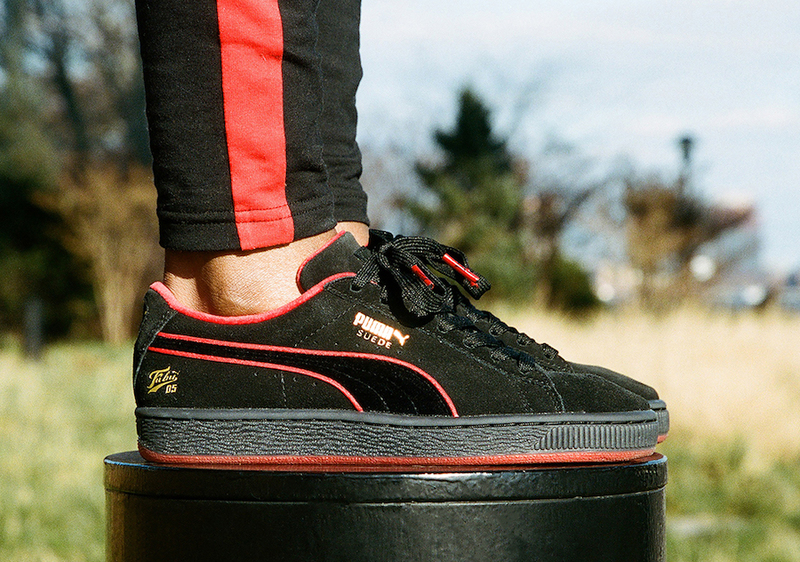 The PUMA x FUBU Classic Suede sneaker features a black velour upper and red velour lining. 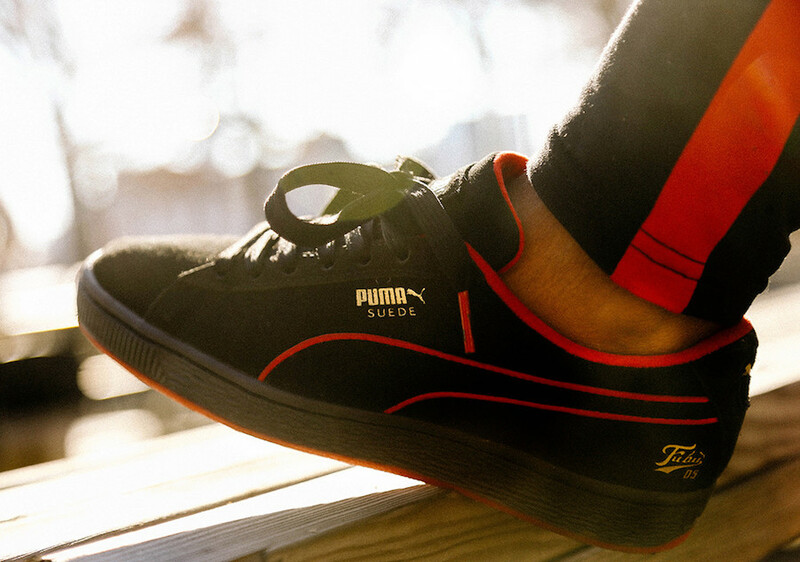 Red velour piping outlines the PUMA logo, and sits atop a black midsole and red outsole. 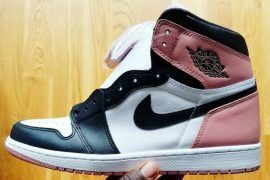 The shoe includes three sets of laces in black, red and white. 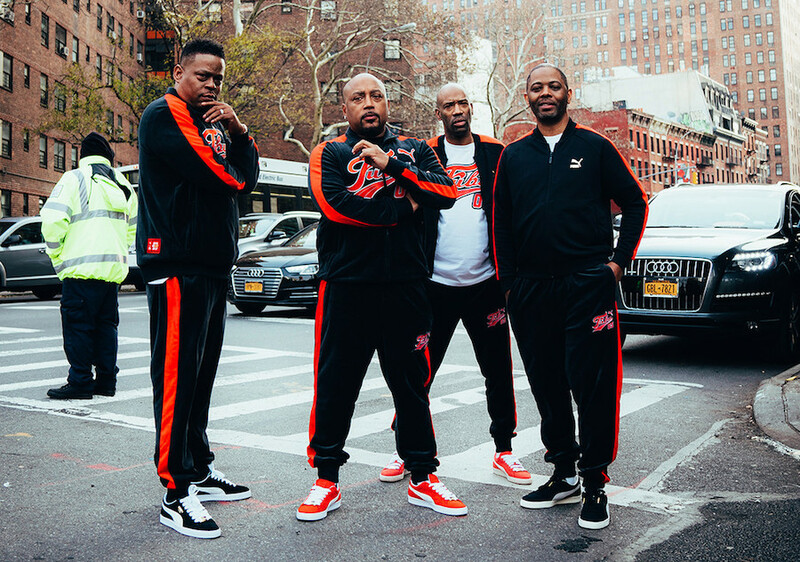 To go along with the PUMA suede, the apparel collection will pay homage to the classic velour FUBU tracksuits with pants, jackets, and tees. 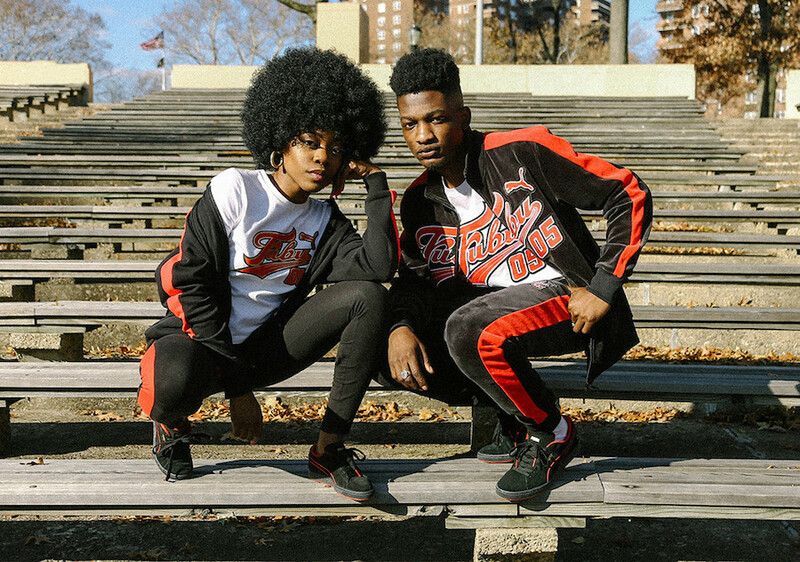 The entire FUBU x PUMA Capsule Collection will be available in baby, women’s, and men’s sizing. 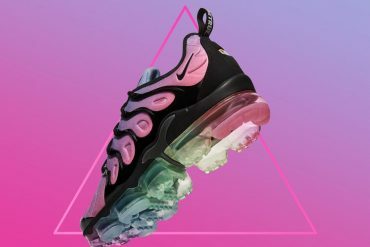 If you’re looking to add some ’90s swag to your sole collection and closet be on the lookout for this entire release January 26th at select retailers and PUMA.com.